Sith Lords. Pod races. X-wings, tie fighters, and the infamous Death Star. Even die hard ‘Star Wars’ fans – kids and adults alike – have the need to dress up at Halloween. For years, finding high-quality ‘Star Wars’ costumes were a challenge. Not anymore. 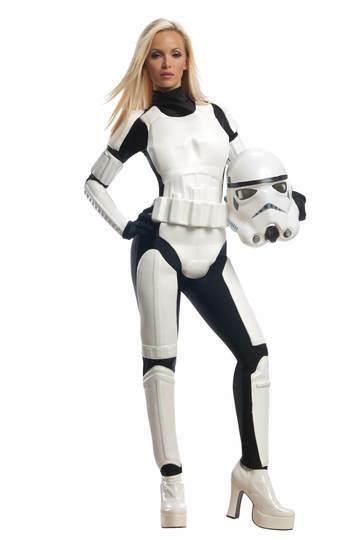 At Foxy Lingerie we can provide you with the perfect Halloween costume to soothe your ‘Star Wars’ fascination. Let’s take a look at some of the wonderful costumes that are out there and see if we can’t find your inner character. 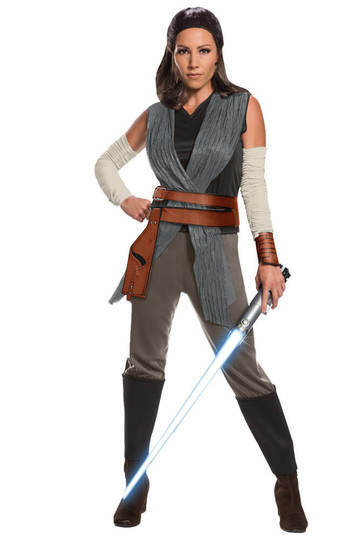 Who doesn’t want to be the ultimate sci-fi princess for Halloween? While you may need to get some serious hair pieces to pull off the buns on the side of your head, these Princess Leia Halloween Costume are based on the white dress we see her in at the beginning of ‘Star Wars: A New Hope’. 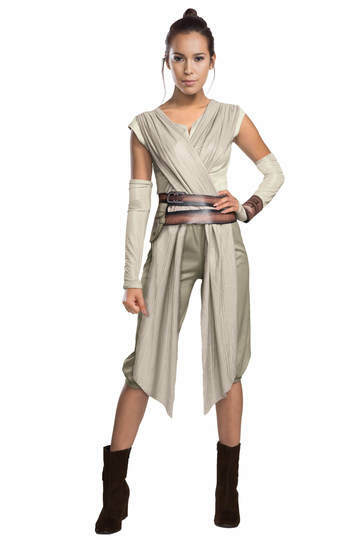 Okay, you don’t need to worry about the hair because this costume comes with a bunned wig – held in place with bobby pins – the signature white dress and belt, and boot tops to complete the look. Droids not included. He was betrayed by his best friend yet watched over his best friend’s son well into adulthood. Obi-Wan Kenobi was the quintessential Jedi Knight and in this costume, you can fight clones, droids, and even your best friend – if they are dressed like Anakin Skywalker. The tunic is screen printed and the full costume also includes the belt, and pants with attached boot tops. Provide your own blue lightsaber and you have it made. If you have Leia, you have to have Han Solo. This rake of the galaxy was one half of one of the best science fiction couples ever to hit the big screen. You get the white shirt with black vest attached and the signature pants with their red stripe up the side. The boot tops are attached to the pants. Get a blaster, a cool ship, and you’re ready to quote some of the best one-liners in movie history. Good luck finding someone tall enough to fit into the Chewbacca costume. And don't forget the amazing look that you can get when you're dressed up as Leia in the Princess Leia Slave Costume, an officially licensed Star Wars costume made by the famous Rubies Costume Company. Dressed up in this, you'll certainly turn heads at Comi-Con, your next Cosplay party, or even Halloween. Every female Star Wars fan should have one! This line made movie goers gasp in shock during a crucial scene in ‘The Empire Strikes Back’. Darth Vader is the villain you love...you hate and once you understand his history, you can’t help but to cry when he dies in ‘Return Of The Jedi’. But, hey, he faded into the Force and in this costume, you could very well channel that mystical…well…Force. 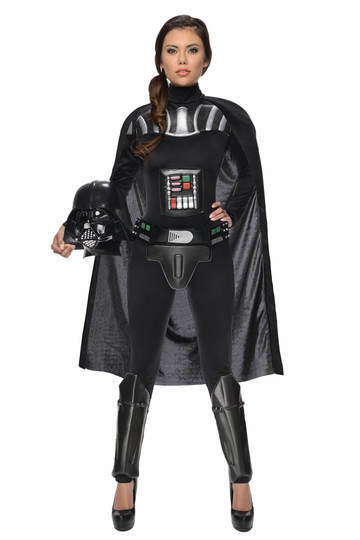 Place the injection molded mask over your face, add the printed jumpsuit with the plastic collar, boot tops and belt, and swing on the cape and you are ready to be the biggest and baddest Sith Lord around. Gloves, breathing device – hey you have to have the heavy breathing to complete the effect – and lightsaber are sold separately. ‘Star Wars’ fans cannot go without having their own wizened Jedi Master in the fold, and even though a standard adult may be truly too tall, there is an adult Yoda costume. Character mask, robe, and waist sash are included in this costume. Get a good walking stick – ‘Let him have it, Artoo’ – and green lightsaber, you can quote Yoda-isms as you walk down the street. Finally there is Luke, the last Jedi standing at the end of ‘Return of the Jedi’. His understanding of the Force far surpasses that of his teachers, and his legacy continues on a good fifty years in the many books that create the extended ‘Star Wars’ universe. The costume includes the tunic, pants with attached boot tops and belt. Make sure you have a blue lightsaber – namely Anakin’s from…never mind, you’re a ‘Star Wars’ buff. You know whose lightsaber we’re talking about. There are many more selections to choose from and all of them are officially licensed costumes. Get in touch with your inner character this Halloween and feel the ‘Force’.